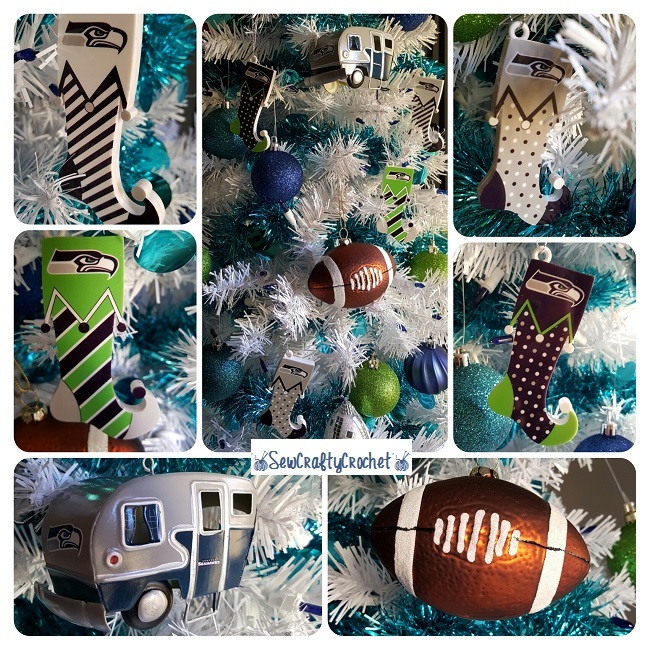 Last year, we celebrated Christmas with a Frozen Inspired Christmas Tree and Crochet Tree Skirt, but this year, I've decided to have a Seahawks themed Christmas Tree! 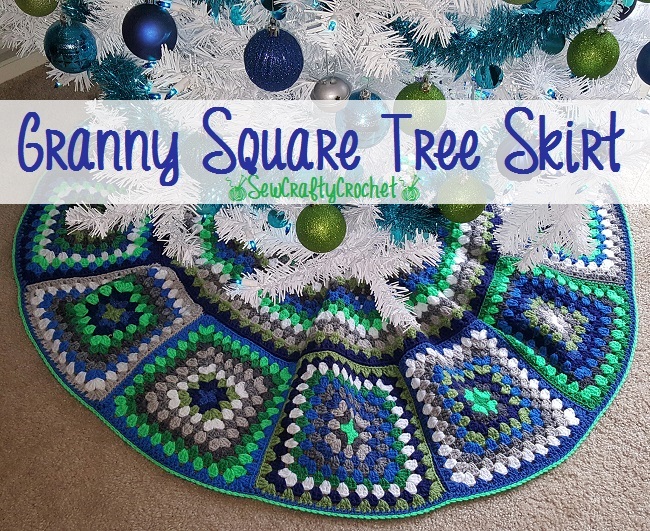 To go along with the blue and green ornaments, I've decided to crochet a tree skirt using the Granny Tree Skirt pattern and Red Heart yarns in shades of blue, green, gray, and white. 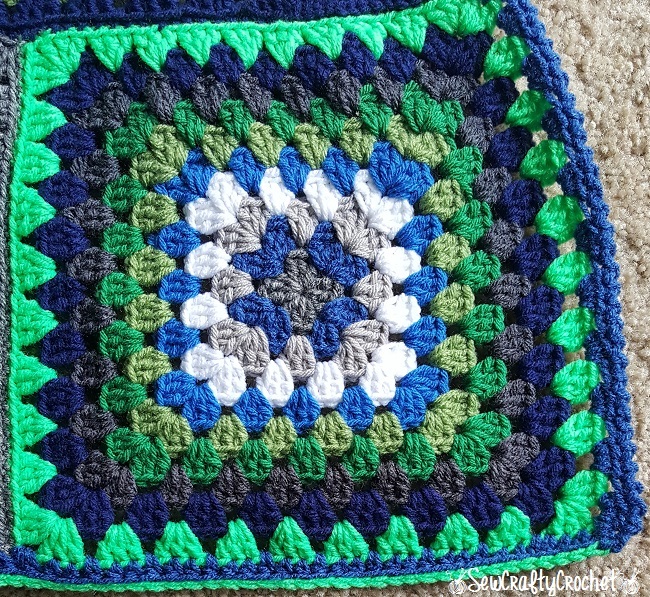 It took me awhile to figure out which colors I wanted to use. 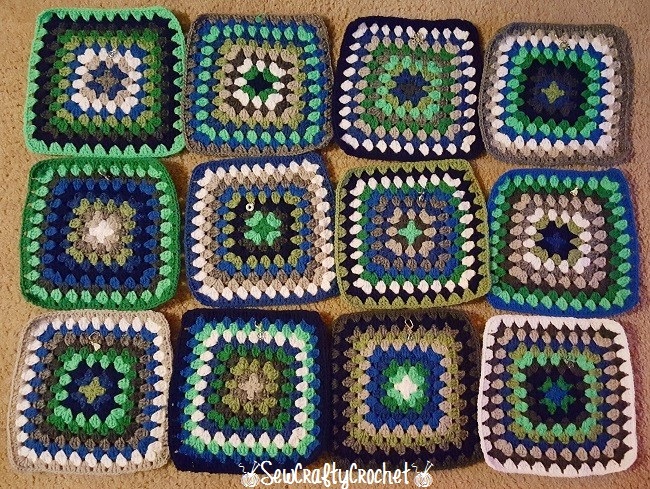 I eventually decided on Red Heart Super Saver yarns in White, Silver, Grey Heather, Charcoal, Delft Blue, Royal Blue, Tea Leaf, Paddy Green, Glowworm, and Soft Navy. The Delft Blue is my favorite out of these ten colors. It's been in my stash for a while, so I'm glad I found a great use for it. 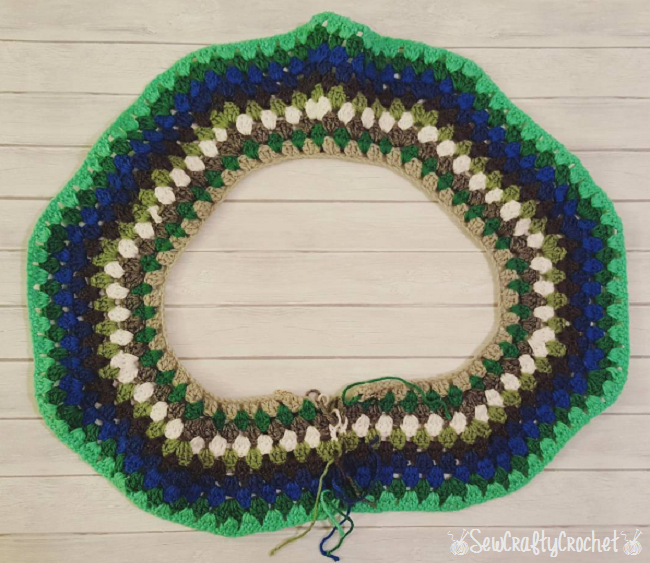 With this pattern, the inner ring is crocheted in rows, and then you crochet 12 granny squares, that are sewn onto the inner ring. 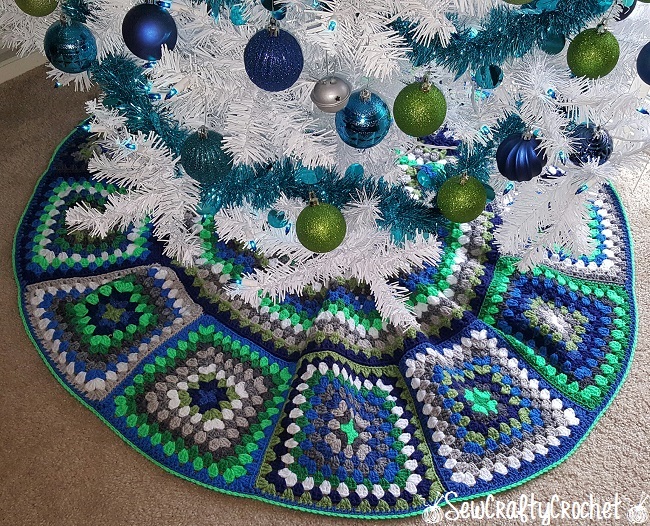 Here's the completed tree skirt ready to be placed around the bottom of our Seahawks inspired Christmas Tree. 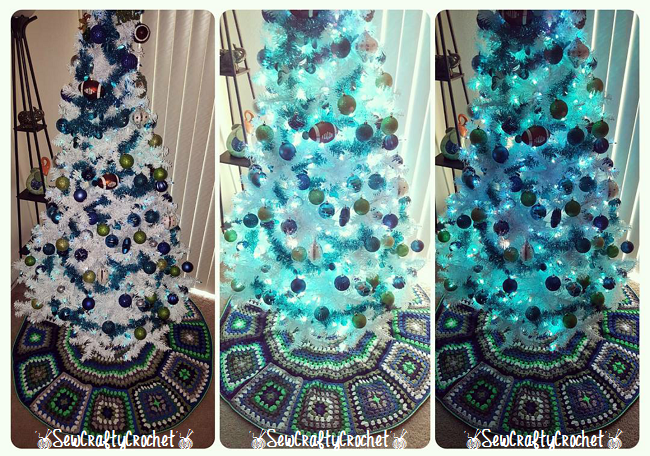 Different lighting situations... Our tree is white with blue lights. 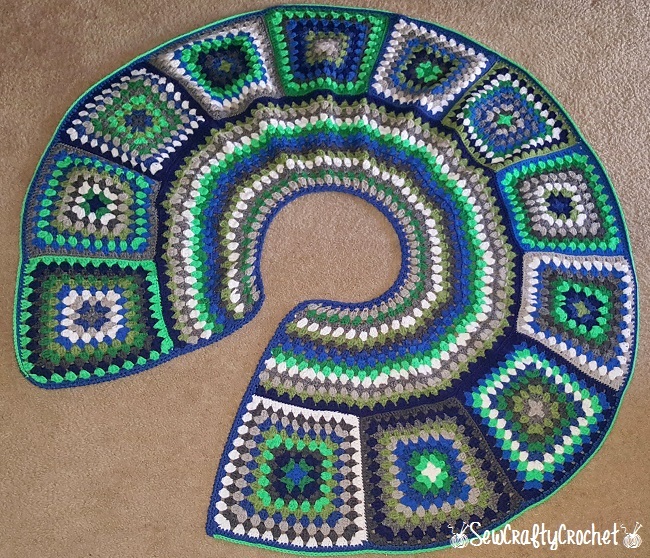 I saw this on Ravelry--it looks great, especially with all the Seahawks decorations. I love it! Thank you! And thanks so much for stopping by!!! Thank so much! Thanks for pinning!! 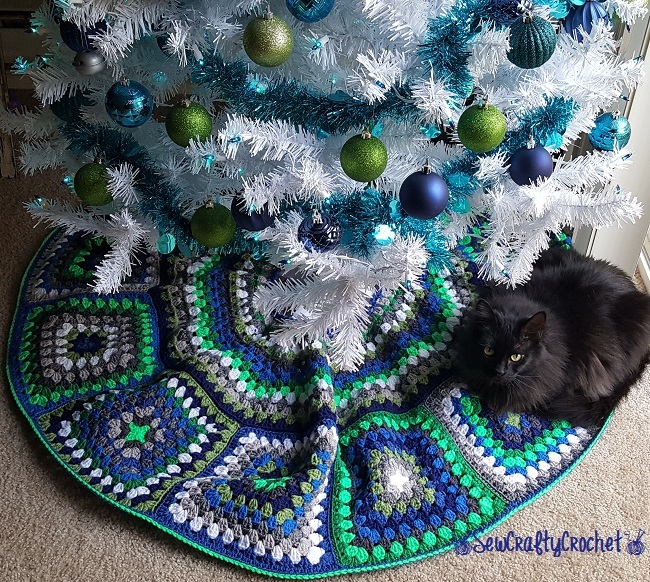 Your tree skirt is fabulous! 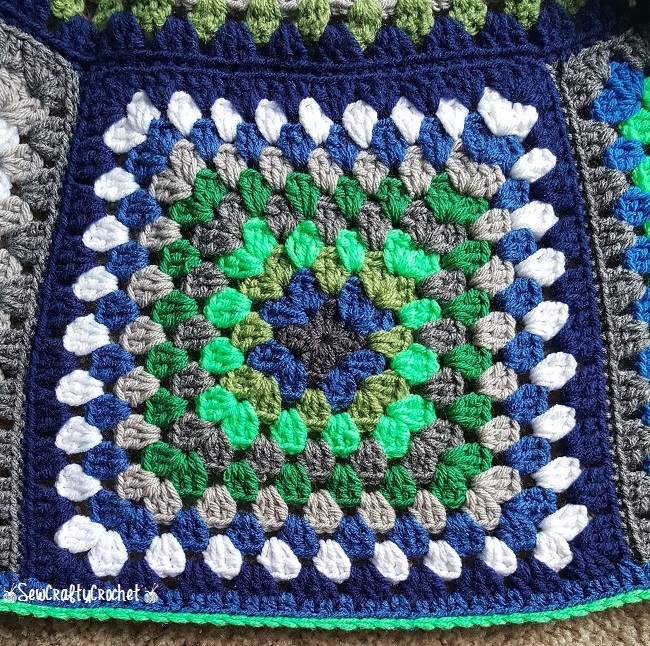 Your crochet projects always impress me. 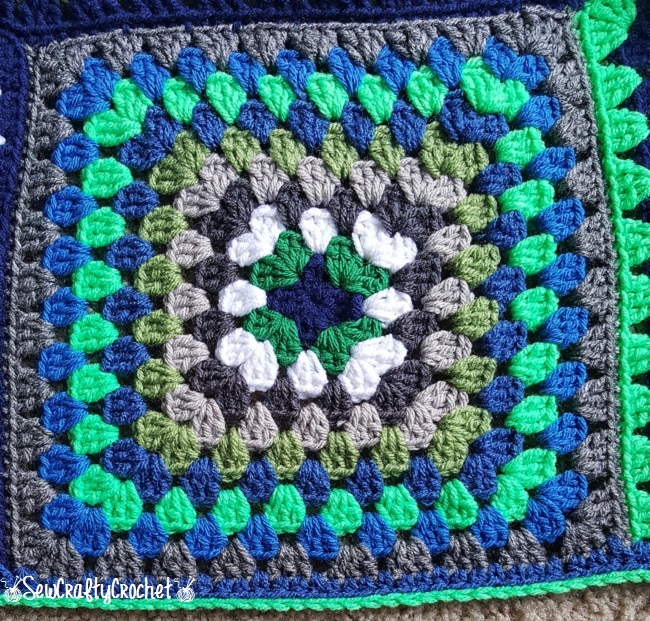 Thanks for sharing at Snickerdoodle. We'll be featuring this at tomorrow's party. Thanks so much for featuring!!! Yay!